Introducing the Lil' Waves Beachpool, the premier children's pool designed specifically for the beach! 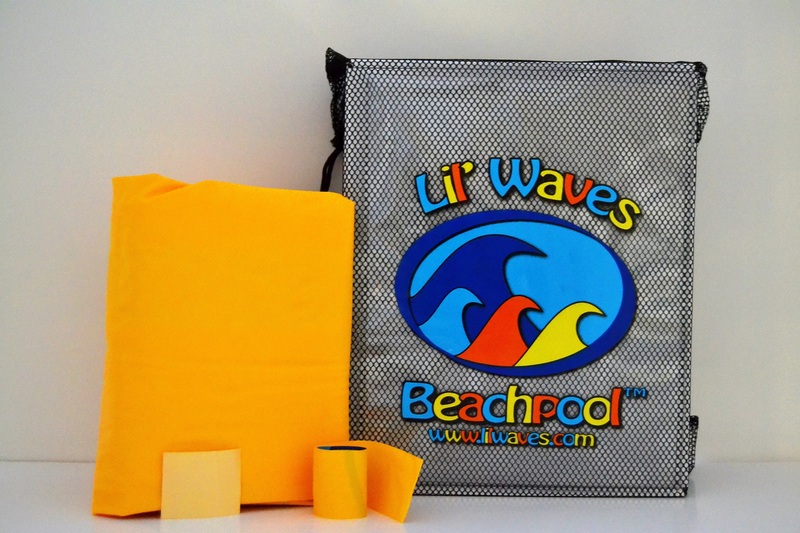 The Lil' Waves Beachpool creates a private wading pool for your child right at your feet! It's easy to set up and allows you to have peace of mind while your child plays in the water. With it's unique patented design, the top of the pool becomes practically level with the sand allowing your child to interact with the water and sand simultaneously, creating an ideal play environment! The ocean water also warms up quickly for a long lasting season. What better way to enjoy a fun, safe, nurturing family day at the beach? So sit back, unwind, and enjoy the beach with peace of mind! Introducing the premier children's pool designed specifically for the beach! The Lil' Waves Beachpool turns the wavy, cold ocean water into a warm, mini oasis for children to enjoy right at your feet. So sit back, unwind, and enjoy the beach with peace of mind! 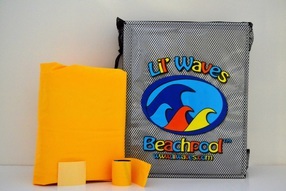 ◾Creates a fun, safe, nurturing environment at the beach. The top of the pool becomes practically level with the sand which allows your child to interact with the water and sand simultaneously! This creates a safe way for your child to get in and out, all while able to keep close supervision. ◾A great stepping stone and introduction for young/small children to the ocean. ◾Features a patented design which creates a shallow wading pool that warms up cold ocean water quickly! ◾From set-up to clean up, it encourages family time and interaction for a fun-filled day at the beach! ◾Includes easy to use circular template and Lil' Waves footpump for quicker setup! The Lil' Waves battery pump is a great accessory to your Lil' Waves Beachpool. 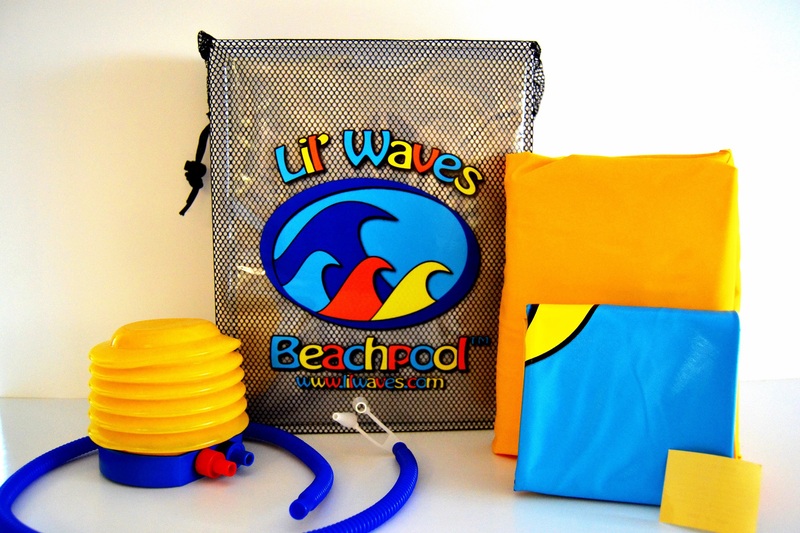 The Lil' Waves battery pump will easily inflate and deflate your Lil' Waves Beachpool extremely quickly! 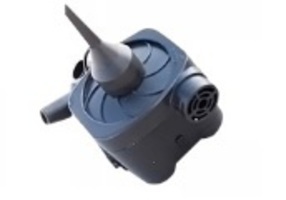 Using natural air as the source, it can also be used on variety of air-receiving products. 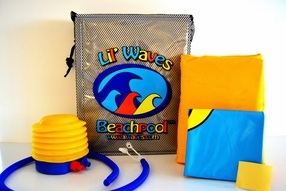 The Lil' Waves foot pump is a great accessory to your Lil' Waves Beachpool. 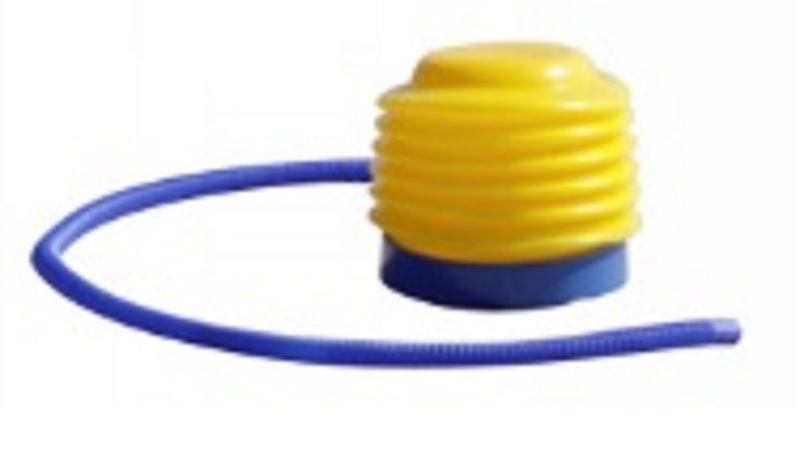 It works on most valve style inflatable toys and is convenient for quick and easy inflation and deflation! Dimensions: 4" x 4.5" x 5"